McClure forcefully employs the phenomena of visual flicker and the phasing of sound to create long form, trance like states of ‘ecstatic reverie’. 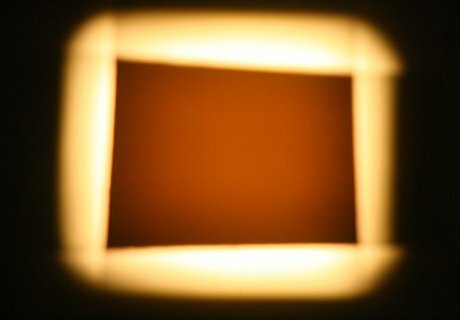 Adapting the gate of the projector by inserting metal plates, and using alternating loops of flicker film, McClure deftly adjusts projector focus and lamp intensity to elicit physiological effects. Film loops double up as a pulsing optical soundtrack, which McClure modulates using guitar delay and distortion pedals to exact a polyrhythmic experience. McClure has performed at major international festivals and venues including International Film Festival Rotterdam, OtherFilm, Australia, AV Festival, UK, Apparent Motion, San Francisco Cinematheque, Toronto International Film Festival, New York Film Festival’s Views of the Avant-Garde, Whitney Biennial, Walker Art Center, and Wexner Center for the Arts. Roberto Crippa is a Milanese sound artist, composer and improvisor based in London. His work investigates how human bodies and physical objects respond to architectural acoustics and resonant frequencies. Crippa has always been more interested in sounds and noises, their relationships, contrasts and analogies rather than harmonic theory, and his generative audiovisual performances draw upon the liminal. With some highly anticipated releases in the pipeline, Crippa has been published by various labels including We Can Elude Control and Wasted Capital, and was recently featured on Secret Thirteen.